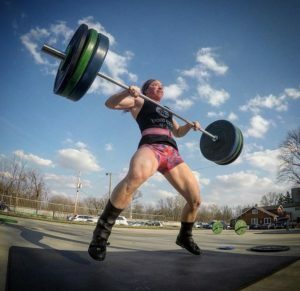 “If you don’t know how strong a person is you could think they’re absolutely crazy for lifting while pregnant, and I know that anyone could have judged me in that way.” This pregnant Crossfitter is fully aware what the controversy is all about, but she made the choice to take things one day at a time, listen to her body, and to stick with her fitness journey. For this Profile in Power I spoke to Shannon Zimmerman (who can be found on Instagram @shannonzim) only a few weeks after giving birth to her daughter. To say that Shannon is an intense athlete would be a gross understatement. 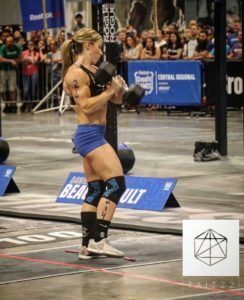 She is a Crossfit coach and regional athlete, and has competed in Olympic weightlifting at the national level. When asked about her experiences during pregnancy, Shannon was more than happy to share. “If you try to look up any guidelines, you’ll find that opinions are all over the place.” And that’s just the thing. There is no one-size-fits-all model. 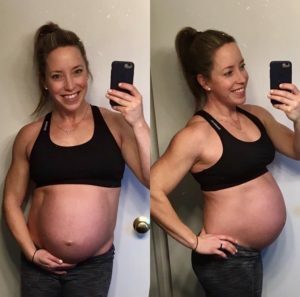 However, Shannon was able to write her own pregnancy rulebook, and if her experiences resonate with even one pregnant athlete, then we’ve done our job. Discalimer: This interview is not meant to replace medical advice. It is based on the experiences of one person with fitness in pregnancy and postpartum. Our position is that you should check with a doctor before beginning any fitness regimen – especially when pregnant. Have you ever had a wake-up call that completely changed your life? Shannon had a pretty extreme health scare that led her to take her wellness by the reins. In 2010 she learned that she had an autoimmune disease and was eventually diagnosed with thyroid cancer. “I felt like my health was getting out of control, and I wanted to fight back and to start living a healthier life.” She changed her diet, (gluten sensitivity actually attributed to many symptoms) and started crossfit while recovering from her surgeries. It’s a phrase we hear a lot, but don’t really know what it means until we get there. “Listening to your body” means different things for every woman, but it’s always right. “A little guide I gave myself was if I had any doubts or if I had to ask myself if I should do it – then I didn’t do it. Just make little judgement calls along the way.” Doesn’t get any simpler than that. She was also lucky enough that her doctor was a crossfit enthusiast who made her feel really good about continuing with her sport. Her doctor’s advice was to be able to say two sentences during her workout. That was a pretty good guide – along with having a real number to look at. 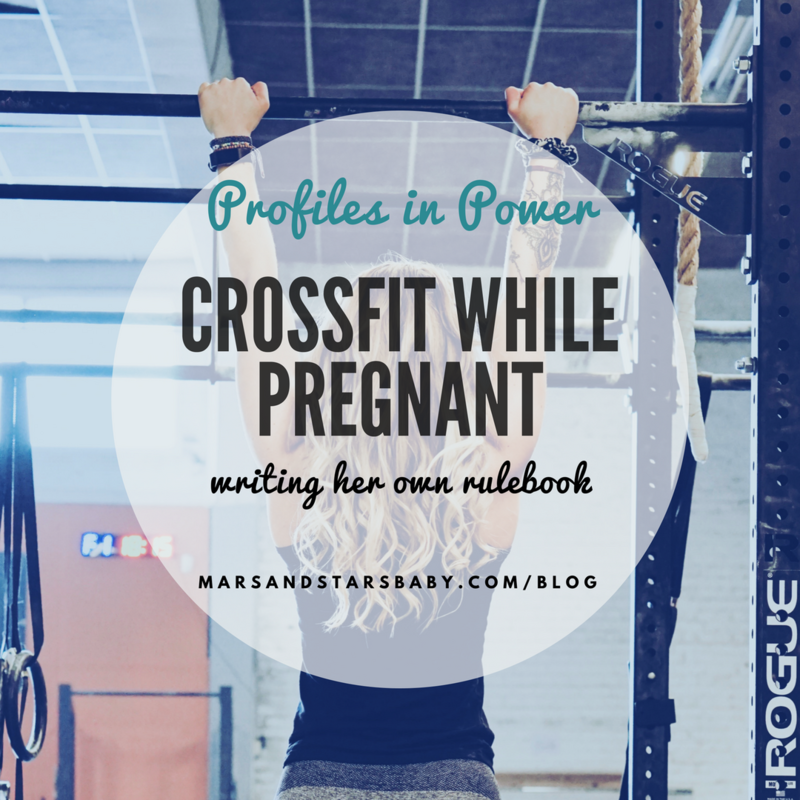 Shannon shares that although she didn’t necessarily attempt any PRs, the weights she used were pretty much the same until the third trimester. When she was bigger and achier, she just didn’t really have the same interest. Although some days she’d surprise herself and feel great. Throughout her pregnancy she played around with volume. “The weight might be the same but I wouldn’t do as many reps. Or maybe I’d build up to the weight a little slower.” Makes sense when you’re carrying around that extra weight anyway! 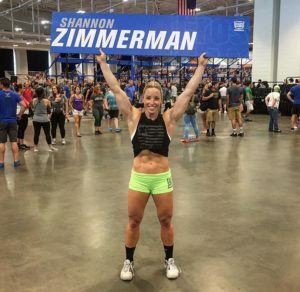 If you’re into lifting, you’re probably into watching your diet and Shannon is no exception. Although she loved following a paleo diet, she found that her athletic performance improved after adding carbs. Needless to say, she logs her calories and macronutrients, but when she became serious about competing, she started working with a nutritional coaching company called Macro Labs – learning that she needs to fuel herself even more to feel great during workouts and competitions. Shannon shares that her coach has personal experience when it comes to pregnant athletes, and was as helpful then as she is postpartum. Turns out eating for pregnancy is is pretty similar to eating for competitions – and I’ll take any excuse I can get to “eat for two”. 3 – “I really like epsom salt baths too” … Actually that one should be at the top of the list. When I was pregnant there was a lot of contradicting advice about fitness in pregnancy – especially weightlifting. This was true for both online research and from medical professionals. The worst part was that a lot of this advice came from people who had no experience with pregnancy, fitness, or healthcare. They were just opinions! Profiles in Power is a series of interviews with new moms and moms-to-be about their experiences with fitness, nutrition, weightlifting, mental health, and body image during pregnancy and postpartum. Each experience is different, and hopefully one you can take something away from.